Music is Champagne for the soul . 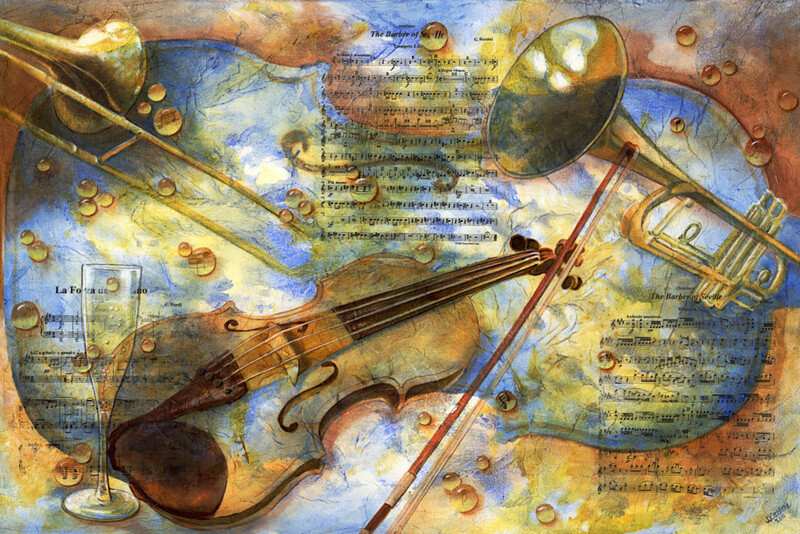 I created this piece for the Camilla Symphony of Sacramento. The evening entertainment theme was Champagne, Arias and Love Songs. This is the first musical piece that I painted and it started a new thought stream. The musical scores featured were from the Barber of Seville.